The hallmark of the New York office of BCG is, in essence, a dichotomy. It is a dichotomy of large and small, of big business and individual relationships, of deal making and of personal change. There are two dynamics at work in BCG's office. First, BCG facilitates those hires within firms that create and supplement the legal teams that handle the largest deals and disputes in the corporate world, both nationwide and globally. On the other hand, BCG understands that even in the most marquee placements and hires, it is the individual dynamics that creates that success. For example, one of the nation's best and most prestigious international firms is doing some of the most cutting-edge cross-border work in the world. The New York office is a surprisingly personal place, however. When that office recently set about reevaluating the way in which it handled its hiring process, one phone call was made to BCG's New York office. Although this firm's deals make headlines, it was one personal phone call that initiated a search to infuse more talent into its New York presence. According to the firm, BCG topped the short list of firms entrusted to handle the search for this talent. Why? "Because we know you'll send us the right people." Although there is no questioning that it's a feather in the company's cap that BCG handles this type of search on an exclusive or semi-exclusive basis, the fact that these personal and individual relationships create these opportunities is something of which the New York office is most proud. As another example, a corporate partner was placed with one of the fastest-growing and most profitable firms in the country. Though BCG was never mentioned in the press releases that heralded the acquisition, both the hiring firm and the partner credit our company with having made an introduction that otherwise would have never come about. This is business at its highest level, but it was also personal change at its most profound. A more specific accounting of BCG's business further demonstrates that the daily work being done in New York is significant because of the spectrum of activity. From A to Z: BCG's New York office has been remarkably successful placing federal clerks in private practice or returning them to practice after their one- or two-year commitment with federal judges. Federal clerks typically have extraordinary academic credentials, but are often entering the marketplace without the advantage of being in the private sector and are therefore sometimes less attuned to those various issues inherent in finding a permanent home. One of the joys of this type of search is the opportunity to guide young and talented lawyers as they begin their careers. BCG is especially proud to report that those federal clerks, in every case, continue to remain at the original firms where BCG placed them and enjoy excellent reviews and relationships with those firms. From federal clerks to partners and multiple-lawyer placements: It may be that a firm is specifically seeking to begin a practice group within its existing office or develop a more specialized area of expertise. BCG has been particularly successful in working with firms and attorneys with books of business to make those introductions that make sense for both the lawyer(s) moving offices and for the firm(s). For instance, BCG's New York office understands that when these sorts of deals are accomplished, although it is often about shifting revenue streams, there are many subtleties that are relevant in order for every party to be happy and for the relationship to last. Not surprisingly, BCG also handles a tremendous amount of lateral-associate work. We understand the substance of what firms need when hiring an experienced lawyer, but we make a point to achieve a depth of knowledge for each individual job in a way that we are able to be remarkably directed when sending lawyers into firms. We don't have resumes shooting out of fax machines. Quite the contrary. Often, a BCG recruiter can predict exactly the firm that the candidate will ultimately be interested in joining. This is opposed to some other recruiting firms, where the first instinct is to "sell" as many opportunities to any one lawyer as possible. We are conservative and targeted, often getting interviews and offers for clients who had previously submitted many resumes around town, but were not aware of a specific opportunity that became the perfect match. BCG is not the only recruiting firm with high-level contacts in Manhattan. BCG must clearly be counted among the elite in terms of access to the most prestigious of firms in New York, but it is our understanding that no matter what the level of recruitment, making a difference on a personal level and maintaining strong individual contacts place our recruiting a step above. BCG's practice area specialties mirror the work being done by its law firm clients. Generally handling commercial placements, BCG works with attorneys specializing in all manner of complex litigation, corporate and finance, banking, and tax work. Additional practice areas include intellectual property, including patent prosecution; patent litigation; technology transactions; and "soft" intellectual property; real estate; ERISA; employment; and antitrust. If there is work being done in Manhattan, BCG's recruiters know the firms that specialize in it, the firms that are busy with it, and the lawyers with the most facility with the subject matter. Not surprisingly, because of the breadth of the economy and industry doing business in New York, the span of expertise from which law firms draw upon is on a massive scale. Because BCG specializes only in law firm placements, the New York office is able to handle the range of practice area placements with expertise and aplomb. In addition, BCG handles searches outside of the "typical" law firm search, whether that be a niche area of law, such as telecommunications litigation or workers' compensation defense specialty or recruiting for a small firm or a firm in a city not typically known for having a large legal community. 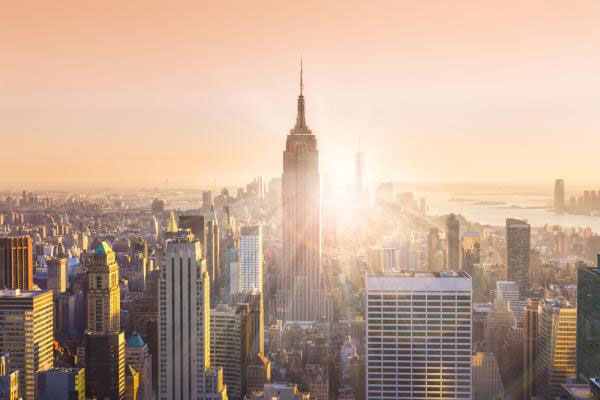 While it's not the "bread and butter" type of work being done in the New York office, New York recruiters are especially adept at "off the beaten path" type work. Most likely, that's because of the dichotomy described above. There is excitement in New York deals, but the real success lies when BCG is able to effect real change and improvement for lawyers and law firms. New York firms are receptive to candidates out of state, although many firms like to see lawyers with experience from AmLaw 250 firms. The more recognizable the firm is, the better the chance of securing a position. Additionally, federal clerkships or positions with high-level federal agencies, such as the Department of Justice, make an out-of-state candidate more marketable to a New York firm. The amount of experience firms are seeking in candidates varies from firm to firm. However, class years 1999 and 2000 seem the most in demand at the associate level. A candidate who cannot waive in should be prepared to sit for the New York bar. The geographic regions handled out of the New York office include New York, New Jersey, Pennsylvania, Massachusetts, Connecticut, and Europe. From a professional standpoint, New York is simply the prototype. If litigation is covered in the Wall Street Journal, it's almost certainly being handled by a New York firm, or the New York office of a firm. The dealmakers consult their New York counsel regarding deals of the grandest scale. This is consistently the single-biggest draw for the nation's talented lawyers: The best and most sophisticated work happens here in New York. That one driving force creates the following corollaries: The best training for young lawyers is in New York. New York offers the highest salaries, the best offices, and the best setting in which to woo and entertain clients. Lawyers here participated in the mergers and takeovers that make headlines. They defend newsmaking personalities, and when they are developing and maintaining a substantial book of business, partners often tell us that New York has the lawyers that are best equipped to service those clients. Most of the large law firms in New York City are located in Midtown and Downtown. However, there is not one area where attorneys are most likely to reside. Rather, there are several hot areas to live in Manhattan, including the Village, Chelsea, Tribeca, Lower East Side, Midtown, Upper West Side, Upper East Side, the Financial District, and Battery Park. People with families tend to live in the Upper West Side, Upper East Side, and Battery Park. After a few years of living in Manhattan, there is a trend-mostly for people with families or those looking to buy property-to move outside of Manhattan, into such areas as Brooklyn, Westchester, Connecticut, and Northern New Jersey. The residential real estate is much more affordable and spacious, and the rental market is very reasonable as well. There are few cities that can compare to Manhattan for entertainment of all kinds. Manhattan has so much to offer in terms of the arts, dining, architecture that it borders on overwhelming. New York is indisputably the performing arts center of the world. Theatre fans have a wide variety of shows to watch-popular Broadway shows or more edgy off-Broadway productions. Music fans have the opportunity to view the world's top musicians in unparalleled venues, including Carnegie Hall and the Metropolitan Opera House. For dance fans, there is ballet and an eclectic array of modern dance companies. And for visual arts fans, there are hundreds of galleries, museums, and thousands of artists. Among the most popular destinations for those interested in the arts include the Brooklyn Academy of Music, Carnegie Hall, Lincoln Center, New York City Ballet, New York City Opera, Museum of Modern Art, Solomon R. Guggenheim Museum, and the Whitney Museum of Modern Art. Savvy New Yorkers also know how to cut down on expenses and still make the most of the nightlife available to them. For example, those in the know can check out TKTS: New York's discount ticket resource, where one can get tickets to Broadway and off-Broadway plays for 25-50% off the regular price. Additionally, the daily landscape for New York residents is made up of the most recognizable landmarks in the world. On any given day, New York residents walk by these popular tourist attractions: the Empire State Building, Grand Central Terminal, the Chrysler Building, Rockefeller Center, the Statue of Liberty, Wall Street, the Brooklyn Bridge, Central Park, and Times Square. New York may be the greatest restaurant city in the world. The dining options are incredible as a result of the city's cultural diversity. Although menu prices at the more notable restaurants are a bit steep and reservations can be difficult to secure, the dining experience with celebrity chefs is a must. Some of the more popular New York restaurants include Union Square Café, Gramercy Tavern, Gotham Bar & Grill, Nobu, Babbo, Le Bernadin, and Balthazar. The shopping in New York City is unbeatable, as you can find the world's finest department stores, along with glossy couture houses, antique dealers, and young designers' fashion boutiques, etc. You will not find big malls in New York. Instead, you'll find shops that are unique to New York, or at least unique to the world's shopping capitals. Stores tend to cluster in a few neighborhoods, including Nolita, SoHo, Chelsea & Flatiron District, Herald Square, 5th Avenue, and Madison Avenue. For the scavenger, New York is also great for discount shopping. Try Century 21, H&M, or Loehmann's. Aside from professional reasons that draw lawyers of all kinds to New York, New York lawyers get to live in New York! The cultural and economic center of the country, New York is a place like no other. Exciting, busy, fast-paced, and dynamic, New York is the perfect playground for anyone who believes by the live-hard-and-play-hard mentality. It is certainly not a coincidence that New York is home to countless television shows and movies. Many New Yorkers delight in the fact that walking outside of your building at virtually any time of the day may lead to a face-to-face run-in with a celebrity or film crew. If there is advance buzz on a play, a band, or an exhibit, it is most likely happening in New York.